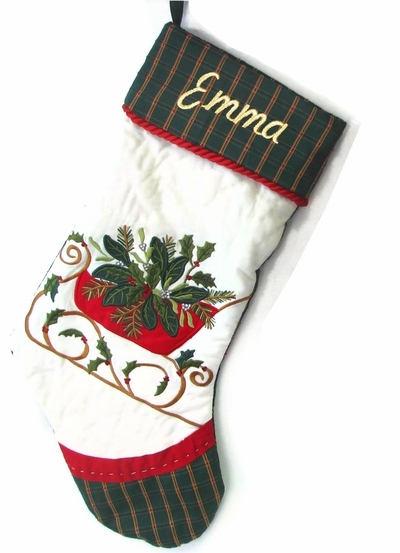 Materials: The stocking is made from green, red and white cottons, sueded velvets with applique embroidery. The inside lining is polyester satin or cotton material. We carry similar designs as pictured in the additional image so you can make a set!